The IRB 4400 is a 6-axis industrial robot, designed specifically for manufacturing industries that use flexible robot-based automation. 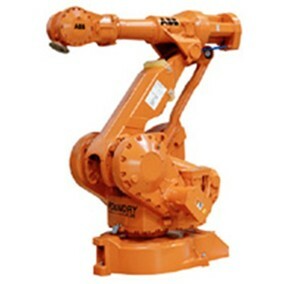 The robot has built-in process ware, an open structure that is specially adapted for flexible use, and can communicate extensively with external systems. The IRB 4400, as mentioned above, is available in different versions depending on its arm length, handling capacity, environment adaptation or the way it is mounted.